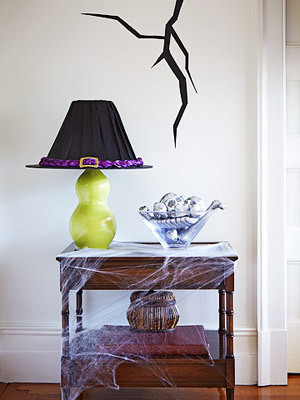 Leave no corner of your house untouched this Halloween. 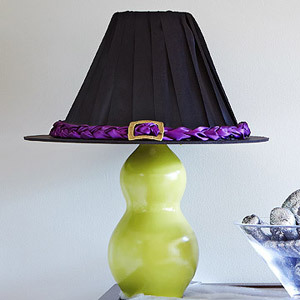 With a little foam board and ribbon you can dress your lamp shade up like a witches hat. The lamp might have a better costume than I do this year. This is a super cute idea. I think it could use some glitter though!